This summer we traveled through the breathtaking countryside of the South of France and deep into the heart of Provence. After landing in Marseille we decided to make the short drive to Aix-en-Provence to stay the night before starting our journey. 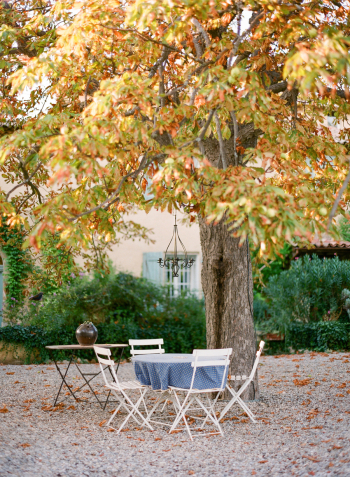 We chose to stay at the Provencal Bastide Le Clos des Frères Gris run by the Lecomte family just outside of the center of Aix-en-Provence. The property was very unassuming at first but we were so pleasantly surprised after pulling off the dirt road to find iron gates opening to the family farm. 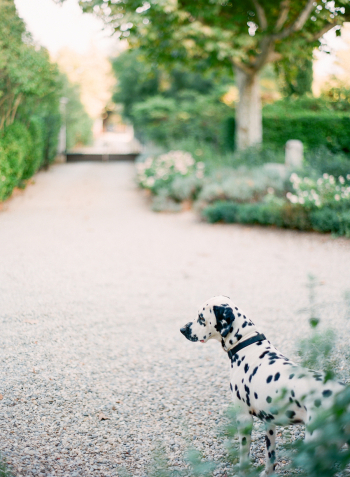 The property was quintessential Provencal complete with almond and olive trees. I immediately knew we had found something wonderful. Caroline and Hubert run the quaint bed and breakfast together and were the perfect antidote to the long hours spent traveling. After showing us to our beautiful room they invited us to join them in the garden for Rosé and snacks with the other guests. While pouring wine Hubert offered to help us find a restaurant for dinner and tell us about the area. 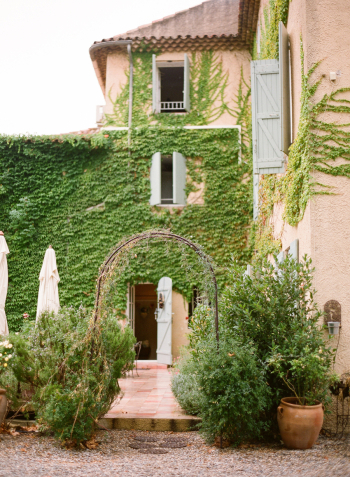 Caroline, who was raised in the United States, shared her story about coming to live in Provence and opening their bed and breakfast together. 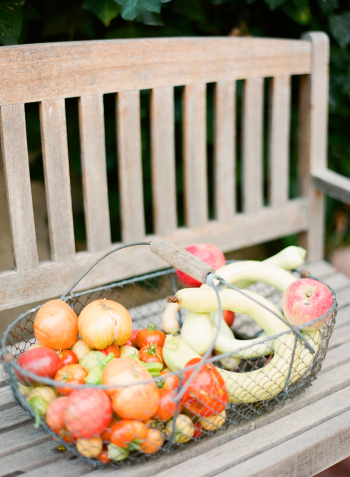 She said she followed a dream, a dream to harvest and share her freshly picked fruits and vegetables and to lead a peaceful life in the South of France. Nestled in the hills and olive groves is the old village of Lourmarin, a tiny town of cobble stone streets, soft blue shutters and quaint cafes. The village feels like a step back in time to a simpler and slower life. The cafes are filled all day with people sipping on coffee and Rose. We stayed at an incredible B&B called La Maison Rose. The property includes three gorgeous rooms with full kitchens that are perfect for cooking the stunning local produce from the town’s Friday morning market. One of the best markets in Provence, it transforms the sleepy town into a bustling paradise filled with fresh produce, fine artisan craftwork and beautiful textiles. I bought beautiful handmade linen aprons, herbs de provence, varieties of olive tapenade that were to die for, and gorgeous produce that we cooked to make a lovely pasta dinner that evening. We took the afternoon to drive to the village of Gordes. It was well worth the drive… Gordes is a very beautiful old village, perched on the southern edge of the high Plateau de Vaucluse. The stone buildings are built tight against the base of cliffs and perched on the rocks above. The focal point is a 12th-century castle made of beige stone that glows orange in the sun. As we neared the town we pulled off to photograph it from afar to capture its picturesque essence. The view from the village is a southern panorama out across fields and forests and the small perched villages of the Montagne du Luberon, which we admired from a café perched high above the town. Walking through the town we browsed shops and meandered the tiny cobblestone walkways that seemingly transported you to another era. The town is remarkable and a must see in Provence. Absolutely stunning! I want this to be the story of my life.